"The second international session of the Russell Tribunal on Palestine will take place in London, on 20, 21 and 22 November 2010. It will examine International corporate complicity in Israel’s Violations of International Human Rights Law, International Humanitarian Law, and War Crimes. After establishing the responsibilities and obligations of corporations under international law, this session will assess the conduct of a series of companies regarding different aspects of Israel’s violations of the rights of the Palestinian People. The Tribunal will also seek to uncover the system that allows corporations to act in such unlawful ways, and to show in what ways States and international organisations could be held accountable for this. ■Corporations providing tangible services and infrastructure that support illegal Israeli settlements and the occupation of Palestinian territory in the West Bank, Gaza and East Jerusalem. 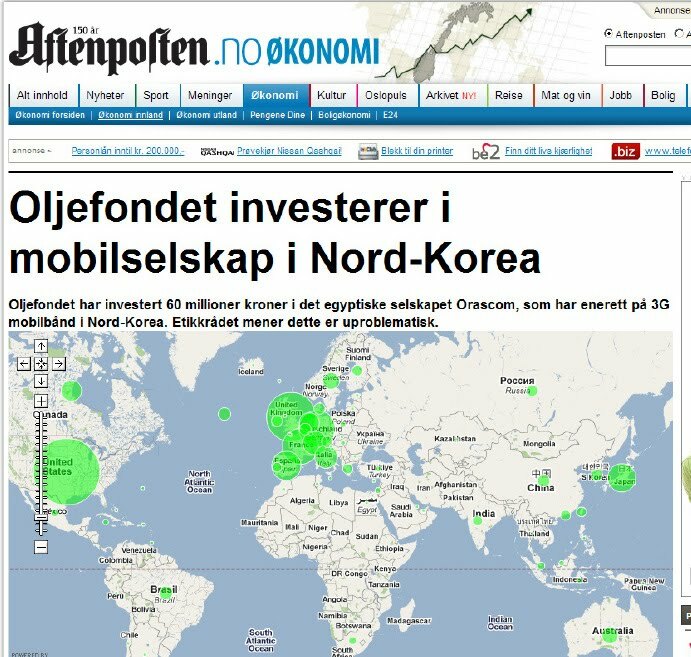 ■Foreign banks and other financial institutions providing financial services to illegal settlements and Israeli banks etc. trading abroad who provide financial services to illegal settlements. 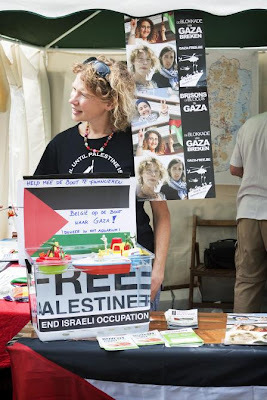 From the "Tribunal" blog: "Russell Tribunal on Palestine-What's next? Less than a week after the Barcelona session of the Russell Tribunal on Palestine, we now have to use the little energy we have left to start thinking about the future. And the future is London. The Barcelona session focused on EU obligations and failings. The London session will focus on corporations profiting from the occupation but also on labour rights in Palestine-Israel and the role third party States play in letting those violations take place. do also contact me [?] if you know any organisations, foundations, charities, unions, wealthy individuals...that you think might be able to contribute. Again, our hope is that we will raise those £60K at a "grassroot" level. This is our tribunal. The tribunal of the people. I'll very much appreciate if you could put me in touch with people, organisations, foundations, charities that you think might be able to help and support our work. Thanks a million for your help and support." "The biggest swindlers of the planet are the Jews. [...] It is necessary to be Jewish to have freedom of expression in France. Death will be more comfortable than surrender to these dogs." What is so amazing is that the Free University of Brussels believes that Dieudonné - who is not even Belgian - deserves a debate on freedom of expression. And that the debate is of such importance to the University that a Vice-Rector, Marc Van Damme, acted as a "moderator" ... The whole episode is even more preposterous because the organisers were expecting that the "debate" would pull crowds of students, but eventually very few people turned up ... How sad and how ridiculous. 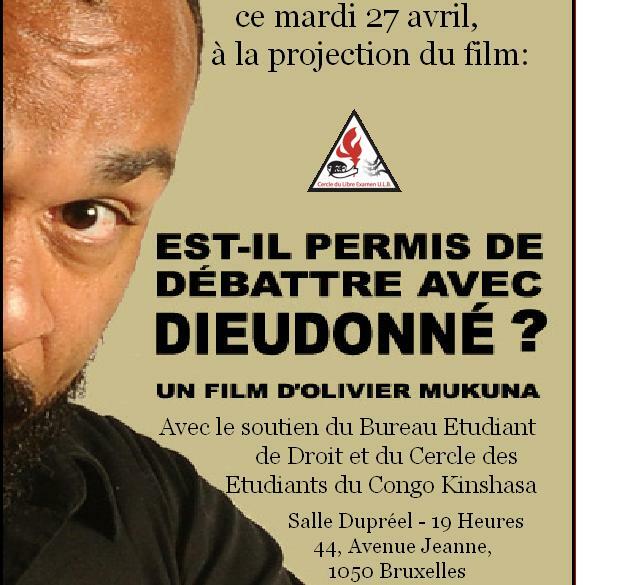 BRUSSELS (EJP)---Jewish students organizations this week denounced the decision by a university in Brussels to give a platform of expression to Dieudonné M’bala M’bala, a French controversial comic who has been condemned on several occasions for anti-Semitism. The Union of Jewish students in Belgium (UEJB) and the European Union of Jewish Students (EUJS) reacted to the organization this week at the Free Brussels University [the "free" means that it is non-confessional, i.e. 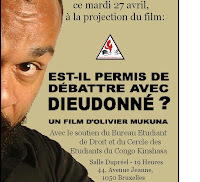 not Catholic] of a debate on freedom of expression during which a film titled "Is it allowed to discuss with Dieudonne?" was shown to the public. In this one hour and a half film, made by a journalist and sympathizer, Dieudonné declares that "the biggest swindlers of the planet are the Jews". He continues: "It is necessary to be Jewish to have freedom of expression in France. Death will be more comfortable than surrender to these dogs". The film also shows Dieudonné’s friendly relations with the leader of the French extreme-right in France, Jean-Marie Le Pen, and with Iranian president Mahmoud Ahmadinedjad. In a statement, UEJB and EUJS slammed the "partiality" of the moderator, the university’s vice-rector Marc Van Damme, as well as the little place left for the lone contradictor, Joël Kotek, a professor of history at the ULB, who denounced Dieudonné’s racist hatred. The Jewish students said they were shocked by the "tense atmosphere of intimidation with regard to the Jews and the State of Israel which characterized the interventions of a large part of the public". 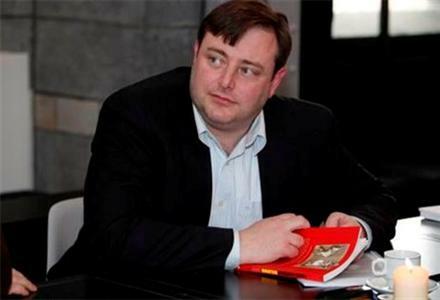 "It is better to shed light on a society's past without hiding reality," De Wever wrote in a column in De Standaard daily entitled "Flemish Nazis." He accused Walloons of "judging by virtue of a moral superiority that is out of place and based on collective ignorance." BRUSSELS (AFP)---The leader of the Flemish nationalist party opened a wartime wound in an already divided Belgium on Wednesday, accusing French-speaking Belgians of historical amnesia over collaboration with Nazis. Smack in the middle of tense coalition talks with French-speaking parties, Bart De Wever sparked a row by charging in a Flemish newspaper column that research on francophone collaboration during World War II was "particularly brief." Contrary to French-speaking Wallonia, he wrote, Flanders had owned up to its collaborationist past, making it impossible for the Flemish region to "sweep under the rug the 'New Order' temptation as if it had just been a fling." The head of the N-VA party even used one of Belgium's cultural legacies, comic books, to drive home his point by drawing a parallel between the wartime activities of two iconic artists, one francophone, the other Flemish. Little attention has been paid to the fascist leanings of "Tintin" creator Hergé, he argued, while the family of Flemish comic book writer Willy Vandersteen admitted last week that he made anti-Semitic drawings in 1942. - European Parliament: Spanish representative derides US "Jewish lobby"
In 2080 there will only be 600,000 Jews left in Europe. Is is estimated that at present there are just over one million Jews in Europe. Every year a significant number of them leave Europe to settle in Israel, the United States, Canada, Australia. (Take the steady flow of departures from France to Israel in 2005: 2,951, 2006: 2,801, 2007: 2,715, 2008: 1;867, 2009: 1,909). It is anticipated that by 2080 only 600,000 Jews will be living in Europe. It seems that the world will see a 22nd century Europe without Jews. "After the Holocaust, there were 11 million Jews in the entire planet. Sixty years later, the total rose to 13 million, or 0.20% of world population. In 2080, it is forecast that there will be 15.5 million Jews in the world, assuming an average fertility rate. In addition to the 4 or 5 million that it is assumed will be living in the United States; 10.5 million in Israel, i.e. 67.8%; and 600,000 in Europe. " Given this demographic trend, a number of controversies which agitate so many Europeans and European Jews - a slowly vanishing population - seem irrelevant. "I understand that Vincent Reynouard has been condemned and jailed under the Gayssot law, and that a petition is being circulated in protest against these actions. I know nothing about Mr. Reynouard, but regard the Gayssot law as entirely illegitimate, inconsistent with the basic principles of a free society as these have been understood since the Enlightenment. The law in effect grants the state the right to determine historical truth and to punish departure from its edicts, a principle reminiscent of the dark days of Stalinism and Nazism. If the justification of the Gayssot law is to ban "horrendous views", or to protect the right to "live free from fear of an atmosphere" of prejudice and racism, then it should be obvious that, if such laws were applied impartially, they would criminalize a vast range of public discourse, which, however despicable one may find it, should certainly be permitted in a free society, and indeed is, with no question being raised. Pascal Riché notes: "This time Noam Chomsky is much more prudent than in his defense of Robert Faurisson in 1980. When the professor of literature at the University of Lyon was prosecuted for denying the existence of gas chambers, Chomsky signed a petition defending the right of expression of the French academic, author of "historical research thorough an independent investigation into the issue of the Holocaust"." Read the whole piece in French HERE. A Norwegian politician is helping Norwegian artist Kjetil Finne display his art at the offices of the Council of Europe in Strasbourg. 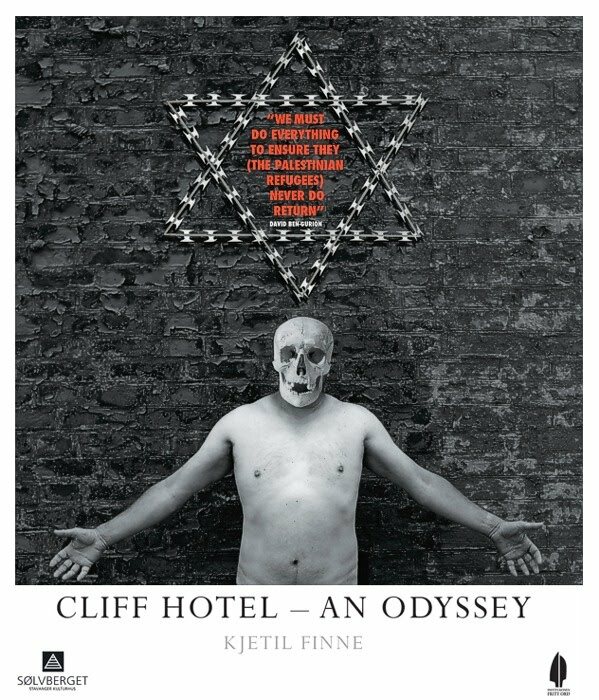 Finne’s art is based on the Cliff Hotel, which is claimed by a Norwegian woman employed at the Representative Office of Norway to the Palestinian Authority. The exhibition “Cliff Hotel – An Odyssey” contains photographs from the occupied West bank, manipulated with Jewish symbols and political quotes. 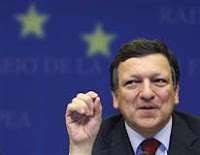 EJP : In a Jewish New Year greeting, European Commission President José Manuel Barroso said Europeans need to condemn anti-Semitism. "For us all, fellow Europeans, remembrance means to vigorously condemn any forms of anti-Semitism, racism and discrimination on the basis of belief," Barroso writes in a letter to Rabbi Levi Matusof on behalf of the Rabbinical Centre of Europe (RCE). "Be assured of my commitment and determination in pursuing that cause," he adds. Barroso’s comments come only days after European Commissioner for Trade Karel De Gucht made remarks on the Jews perceived as anti-Semitic, in an interview with the Belgian Flemish radio. De Gucht launched a diatribe about the power of the ‘Jewish lobby’ in the U.S. and appeared to indicate that Jews are irrational when it comes to the Israel and the Middle East conflict "because there is a belief among most Jews that they’re right." A European Commission spokesman said last week that President José Manuel Baroso will not sanction Commissioner Karel De Gucht for his comments on Jews he made in a radio interview, despite calls that he be fired. "On the basis of the reassurances given by Mr De Gucht to President Barroso, the president considers that the incident is closed," the spokesman said. Earlier, the Commission stressed that De Gucht’s remarks were "personal comments" that in no way reflected the position of the EU regarding the Israeli-Palestinian talks and the Middle East peace process. 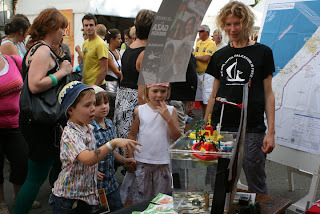 Yet another European NGO engaging in Israel and Jew bashing. Now NRK is again telling us of how Scandinavians are being recruited to fight for Al-Shabaab. 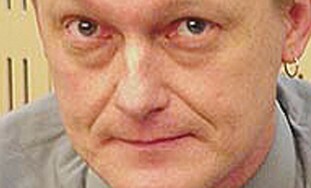 Perhaps it is time to send Mr. Apeland another e-mail. Israelis to protest Hamas outside of Red Cross Jerusalem compound : A protest movement called "The Wheels of Justice," composed of residents of Jerusalem, will stage a vigil outside of the East Jerusalem headquarters of the International Committee of the Red Cross (ICRC) on Monday to protest the presence of three wanted Hamas leaders in the building. The protest will be continued on a weekly basis, said movement leader David Ish Shalom, until Israeli security forces move to arrest the three men. 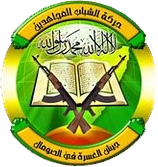 The fugitives in question, Ahmad Atoun, Khaled Abu Arafa, and Muhhamad Totach, are all representatives of Hamas’ Change and Reform list in the Palestinian Legislative Council (PLC), and have camped out in the Sheikh Jarrah building since the June 30 arrest of Hamas MP and former Al Qassam Brigades leader Muhhamad Abu Tir. European Parliament: Spanish representative derides US "Jewish lobby"
Emilio Menéndez del Valle represents Spain’s ruling PSOE party in the European Parliament and was formerly his country’s ambassador to Jordan and Italy. He has an op-ed in yesterday’s El País about the Israel-Palestine negotiations in which he doesn’t hold back on the power of the Jewish lobby in US politics ["poder del lobby judío en EE UU"] and goes so far as to say that America’s foreign policy in the Middle East has been kidnapped by Jewish power. Another brave socialist speaks out about Jewish power. Well done, Emilio. "… contradictio in natura given that 20% of the population of Israel is Arab, not Jewish." So without a uniform national identity among its inhabitants states can’t claim to represent a single national identity. Irony can’t be Menéndez del Valle’s strong point because judged on this basis his own country, the Kingdom of Spain, doesn’t come out very well as it obliges a large minority of its citizens (Catalans, Basques, Muslim inhabitants of the colonial enclaves of Ceuta and Melilla and, at least to some degree, Galicians as well) to accept Spanish national identity in spite of the fact that they don’t feel themselves to be Spanish in any way and that they see the Spanish state as robbing them of their right to self-determination. My advice to Mr. Netanyahu would be that Israel should drop its demand to be a recognized as a Jewish state when the Kingdom of Spain dissolves itself and is replaced by a confederation of independent Iberian nations. 35% of Spaniards have a bad opinion of Jews. The percentage represents 17 million Spaniards. And 11% - almost 5.2 million people - believe that Israel "must disappear" - more than five million Spanish people want Israel wiped off the map. Those who commissioned the survey indicate that the 35% figure is "less than expected". Their comment is understandable in the light of previous surveys that put Spain as the most antisemitic country in Europe and with the deluge of anti-Israel info poured on Spaniards on a daily basis, the numbers could have been worse. But they are very bad. Still it is hard to follow Miguel Angel Moratinos, the Spanish Foreign Minister, when he indicated at the presentation of the report: "Public opinion in our country is not anti-Semitic or anti-Israel". Well, in arithmetic terms, there is not a majority that holds such obnoxious views but, when in your own country 5 million human beings (so to speak) argue that Israel should disappear and another 17 million say that do not want Jews there is no cause for celebration. Do they really represent the quintessence of tolerance and respect ? The European trade commissioner explains why the 'average' Jew is so irrational. A decade ago, the European Union enforced a cordon sanitaire around Austria's government after a close election led the Christian Democrats to enter a coalition with Jörg Haider's Freedom Party. Mr. Haider had gained notoriety for praising the "employment policies" of Nazi Germany, so the EU establishment put diplomatic relations with Austria into deep freeze over his party's inclusion in government. How times change. Last week, the European Commission's own trade commissioner, Karel De Gucht, gave vent to his own anti-Semitic riff on Belgian radio. This time, the official reaction seems to be a collective yawn. The former Belgian foreign minister told VRT radio Thursday that the Mideast peace talks are doomed—thanks to the stubbornness and excessive power of Jews. "Do not underestimate the Jewish lobby on Capitol Hill," Mr. De Gucht said. "That is the best organized lobby, you shouldn't underestimate the grip it has on American politics—no matter whether it's Republicans or Democrats." 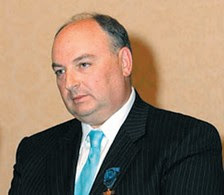 To make sure that listeners understood that he wasn't attacking only certain Jewish organizations, Mr. De Gucht offered his thoughts on the "average" Jew. "Don't underestimate the opinion . . . of the average Jew outside Israel," he said. "There is indeed a belief—it's difficult to describe it otherwise—among most Jews that they are right. And a belief is something that's difficult to counter with rational arguments. And it's not so much whether these are religious Jews or not. Lay Jews also share the same belief that they are right. So it is not easy to have, even with moderate Jews, a rational discussion about what is actually happening in the Middle East." 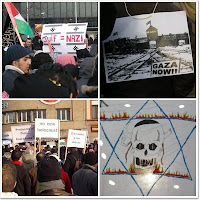 Brussels: 60.000 demonstrators against Israel and only 60 to support Roma ! Ben Heine's "mighty pen against IsraHell's war crimes"
Here is what Carlos Latuff wrote : "Ben Heine is another artist who dares to produce art on behalf of the Palestinians, encouraging their resistance and exposing Israeli atrocities. And, as any pro-Palestine artist, he's been targeted by Zionists, with all those notorious allegations of "anti-Semitism" and stuff. Not a big surprise. Harassment of critics is a standard procedure by Israeli apartheid supporters. But, as I said to Ben, who's a good friend of mine and a brother-in-arts, slurs and defamation against him are nothing if compared with the suffering Palestinians are facing for decades. Be sure Ben will keep raising his mighty pen against IsraHell's war crimes. He's a friend of Palestine." James Bond = James Heine by Latuff - Ben Heine's page on deviantArt. Is EU Commissioner Karel De Gucht only saying out loud what everybody at the EU is thinking in private but keeping silent for fear of being called an antisemite ? - Former Foreign Affairs Minister speaks of the weight of the American Jewish lobby and of the conviction Jews have of being always right about the Middle East. - Jewish organisations make grave accusations. - Is it appropriate to say in public what everybody thinks in private ? He further hints that such could be the views of the Belgian Ministry of Foreign Affairs too. 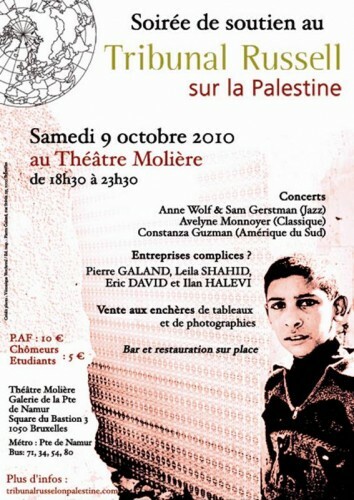 Le Soir (like the other main francophone Belgian newspaper La Libre Belgique) is notoriously anti-Israel. In the same issue, writing on Thilo Sarrazin who said that Jews share a common gene, the paper has four other pieces on how crazy Israelis are about Jewish genes (superior of course) and also reports on terrible racism in some quarters of Israel society. 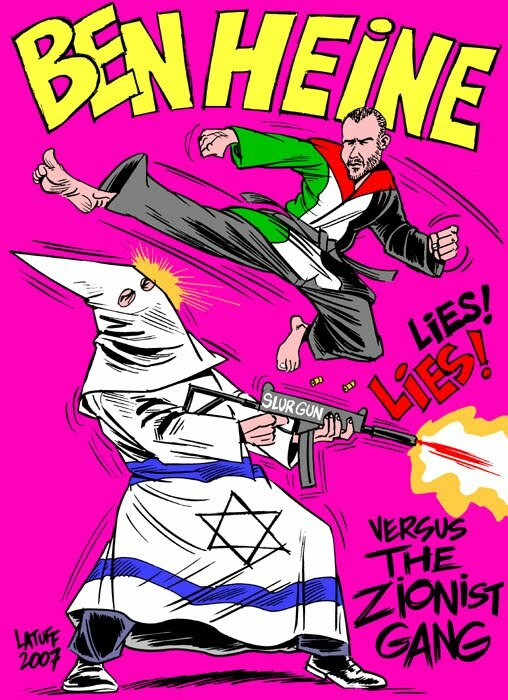 The paper makes Israelis look bad for not making a big fuss about Dr. Sarrazin's "racist" "pamphlet" ... Needless to say that Le Soir is making a terrible fuss about this story. And by the way, De Gucht has expressed regrets - he did neither offer an apology nor take back his accusations. Yet another European NGO engaged on an anti-Israel campaign. The head of Amnesty International’s Finnish branch, Frank Johansson [photo], sparked outrage last week when he termed Israel a “scum state” on his blog, a statement he has since removed following The Jerusalem Post’s disclosure of his anti-Israel remarks. When asked about the NGO Monitor statement seeking an independent inquiry, Susanna Flood, a spokeswoman for Amnesty in London, wrote on Tuesday by e-mail to the Post, “Amnesty International had no need to seek an ‘independent evaluation’ to determine that Frank Johansson’s comments, made in his personal capacity, were inappropriate.” The NGO Monitor statement was signed by Harvard law professor Alan Dershowitz; Ruth Wisse, that university’s Martin Peretz Professor of Yiddish Literature and Professor of Comparative Literature; Yehuda Avner, a former ambassador to the UK and Australia; Fiamma Nirenstein, vice president of the Italian Chamber of Deputies’s Committee on Foreign Affairs; Elliott Abrams, a former US deputy national security adviser for global democracy strategy; UCLA’s Prof. Judea Pearl, president of the Daniel Pearl Foundation; Mideast expert and commentator Tom Gross; and Douglas Murray, director of the London-based Centre for Social Cohesion think tank. "This is part of a dangerous trend of incitement against Jews and Israel in Europe that needs to be stamped out immediately. The libel of Jewish power is apparently acceptable at the highest levels of the European Union. This should worry everyone who seeks a more tolerant Europe." The European Jewish Congress has demanded a retraction on Friday from a the European Union official who made anti-Semitic comments on Belgian radio. Karel De Gucht, European Commissioner for Trade, was asked about the chances for peace in the Middle East on Belgian Flemis public radio VRT on Thursday, and answered with a tirade about the power of the "Jewish Lobby" in the US. He also insinuated that Jews are irrational when it comes to Israel and the Middle East. 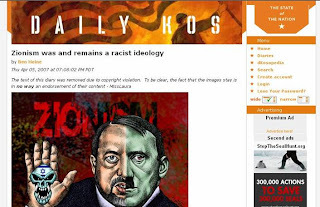 EJC President Dr. Moshe Kantor [photo] responded: "This is part of a dangerous trend of incitement against Jews and Israel in Europe that needs to be stamped out immediately." "Once again we hear outrageous anti-Semitism from a senior European official," Kantor said. "The libel of Jewish power is apparently acceptable at the highest levels of the European Union. 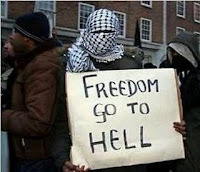 This should worry everyone who seeks a more tolerant Europe." Kantor added that the EU commissioner's remarks are part of a new wave of anti-Semitism in Europe. "It has somehow become acceptable to attack Jews through Israel, even at the highest levels. 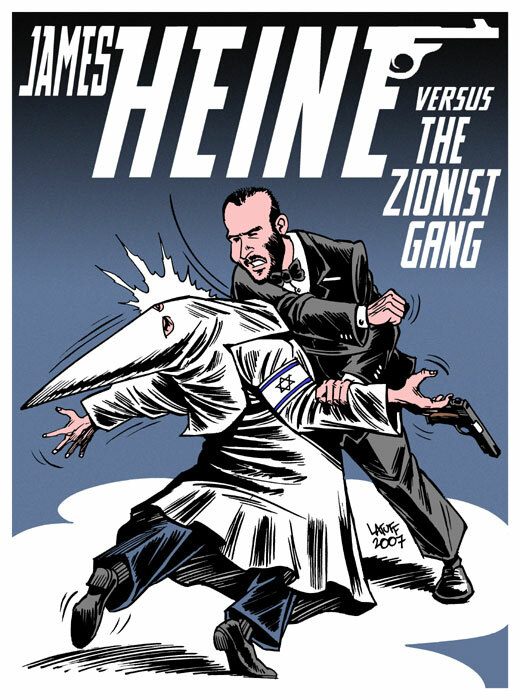 The old anti-Semitic libels are remade to fit 21st century hostility to the Jewish state." De Gucht is one of the most senior officials in the European Union, and was formerly Belgian Foreign Minister. The EJC has called for an immediate retraction and apology from De Gucht.